If you're new to the Lou, we have a few quirks that must be explained to newcomers. Photography courtesy of Ted Drewes Frozen Custard. Known as the Gateway to the West, St. Louis is a big city with small-town charm. Whether you settle in the city or the county, your Midwest neighbors will welcome you with open arms. But, if you’re new to the Lou, we have a few quirks that must be explained to newcomers. Fit right in with these fun facts on our local lingo and traditions. 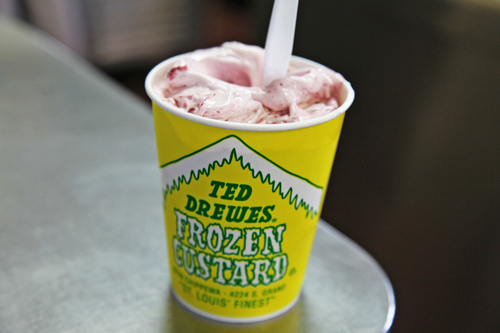 Concrete: An ice cream treat served up at Ted Drewes, a St. Louis institution since 1930. Created in 1959, a concrete is a malt or shake so thick that it is served upside down. 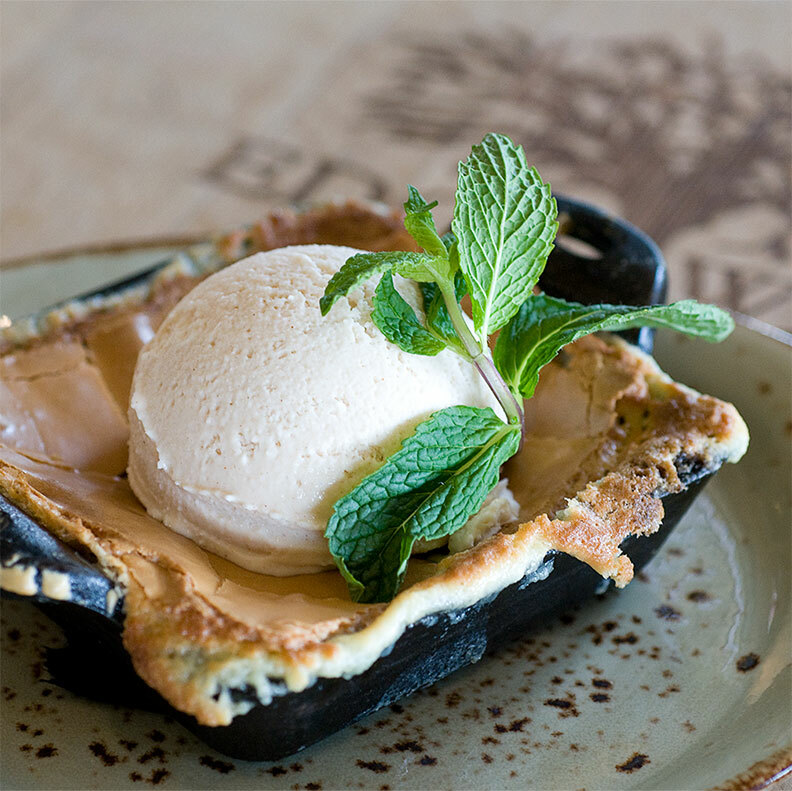 Gooey Butter Cake:Originated in STL in the 1930s by mistake. A German baker mixed up batter proportions when trying to make coffee cake. The traditional recipe includes cake flour, butter, sugar, eggs and a dusting of powdered sugar. Halloween jokes: Local Halloween tradition calls for trick-or-treaters to tell a joke in order to earn candy. Time to brush up on your knock, knock jokes. Highway 40: Also known as 64/40. Stretches east to west through St. Louis. Imo’s: The square beyond compare. Known as the original St. Louis-style pizza. Cracker thin crust. Provel cheese. St. Louis Bread Company: Also known as Panera. 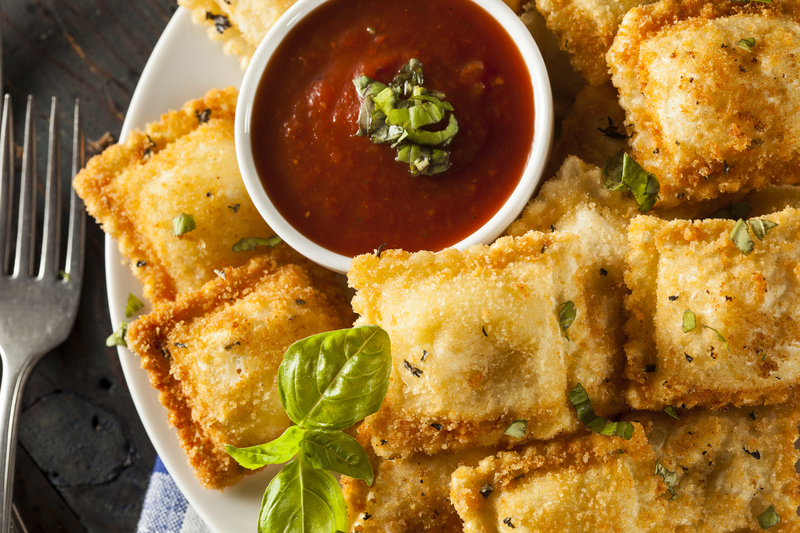 Toasted Ravioli: Breaded, deep-fried ravioli. Originated on the Hill in St. Louis. “Where’d you go to High School?”: Don’t be surprised if you are asked this question on the regular. St. Louisans love to boast about their alma maters. It’s a way to bond over common acquaintances and stir up old rivalries.